Velta A. 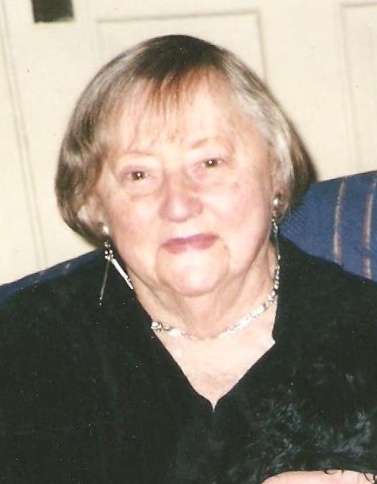 (Koke’) Doherty, of Newtonville originally from Jelgava, Latvia, passed away at her home surrounded by her family on Mar 24, 2019. Velta had been a resident of Newton for over 65 years. She was regularly attended the Newton Senior Center in Newtonville, was an avid bingo player and was known in her neighborhood for her beautiful flower garden. She was the beloved wife of the late Edward G. “Buster” Doherty, and the loving mother of Peter of Newtonville, Barbara Edlund and her late husband Robert of Hanover, William and his wife Susan of Buffalo NY and Astrid Terry and her husband Paul of Melrose. She adored her 8 grandchildren and 2 great grandchildren and is also survived by her best friend Maria Ninobla. Relatives and friends will gather for her Mass of Christian Burial on Sat Mar 30 at 10:30 AM at Our Lady Help of Christians Church Newton followed by interment in Calvary Cemetery, Waltham. Visiting hours will be in the Eaton & Mackay Funeral Home 465 Centre St Newton Corner on Fri from 4-7 PM. In lieu of flowers, a donation in memory of Velta to the Newton Senior Center 345 Walnut St Newton MA 02460, would be appreciated.